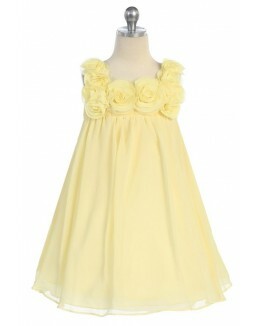 Simply elegant chiffon a-line dress with rosette accents on the neckline. 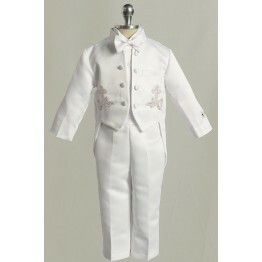 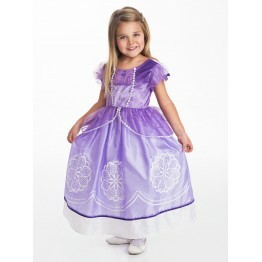 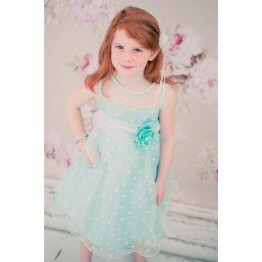 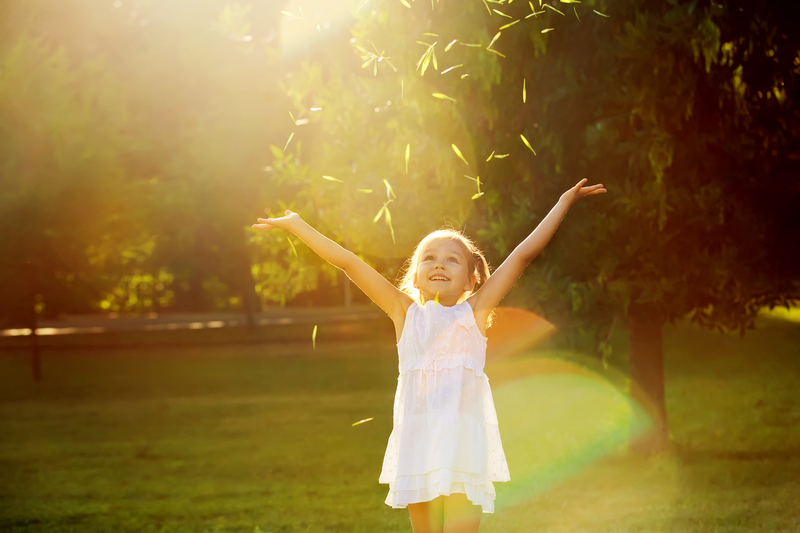 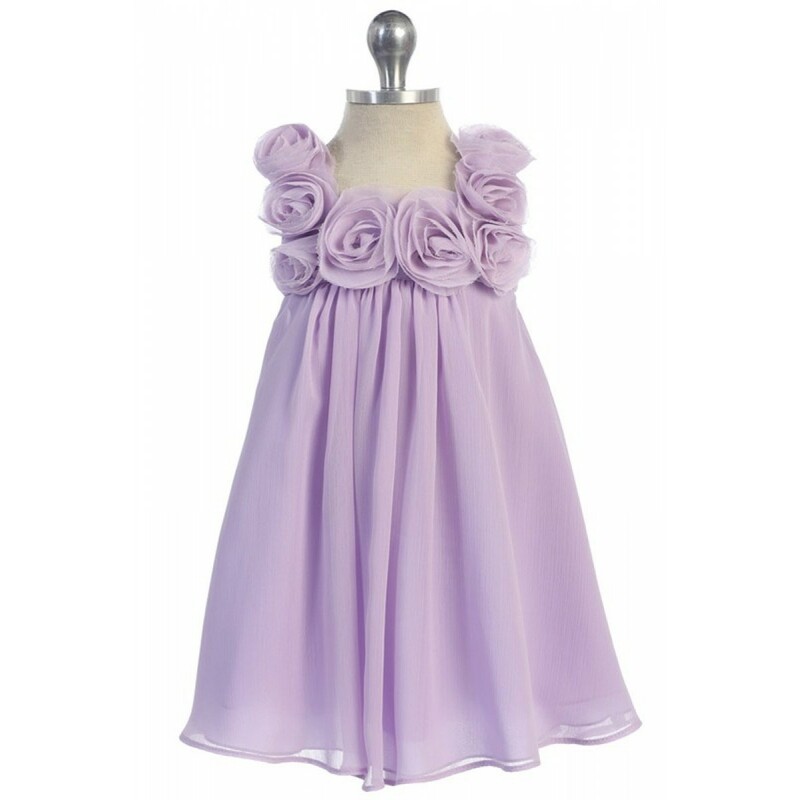 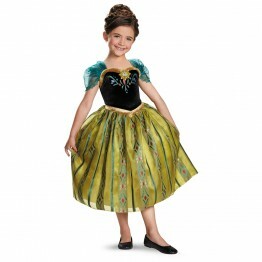 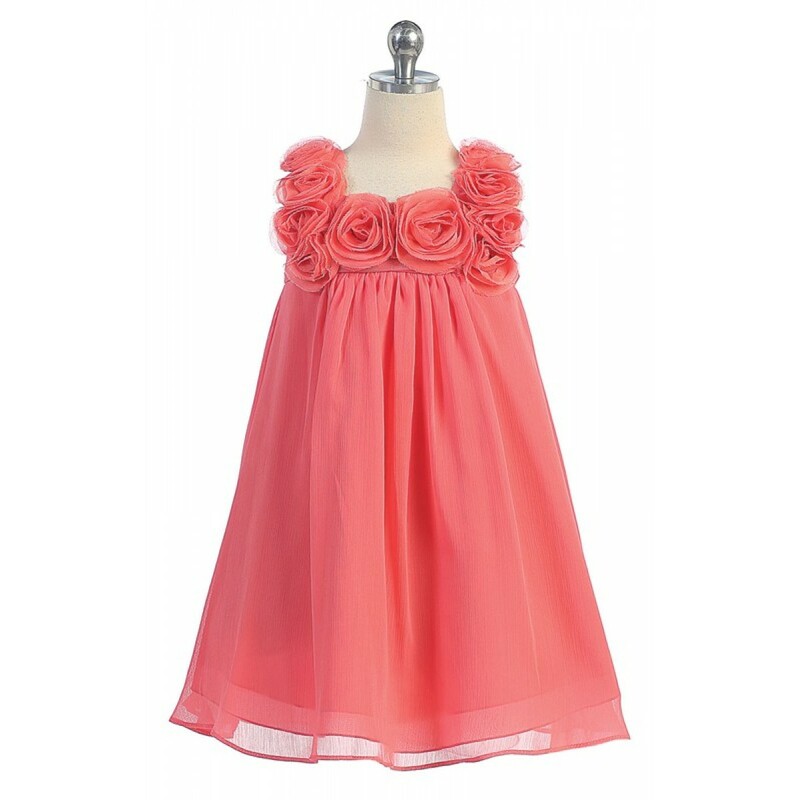 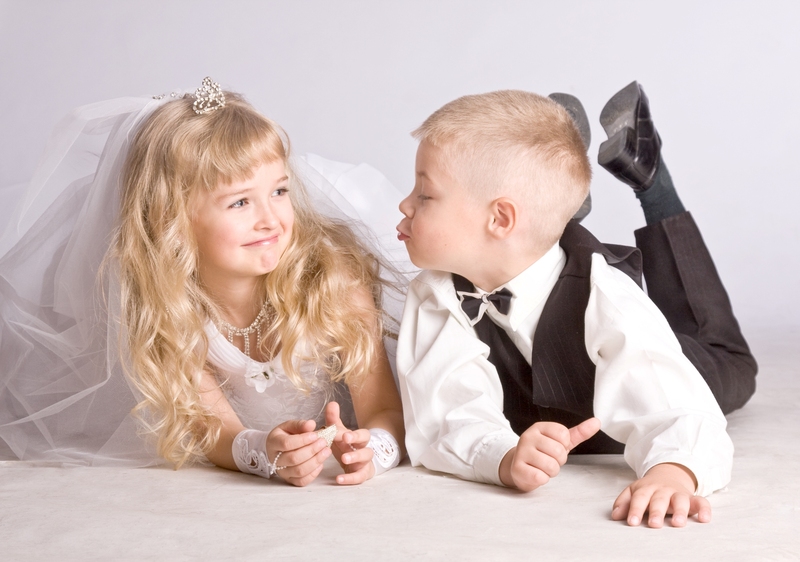 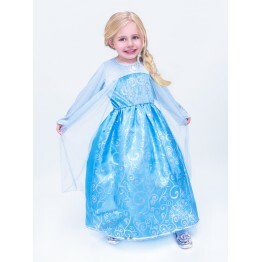 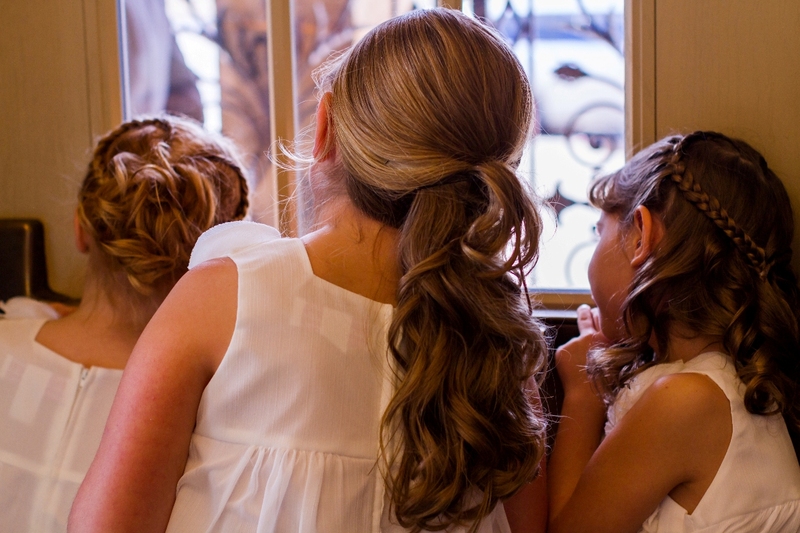 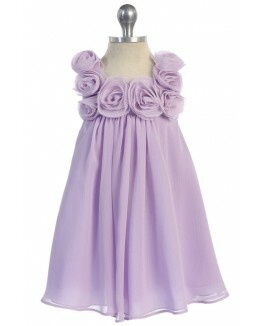 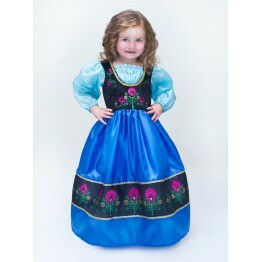 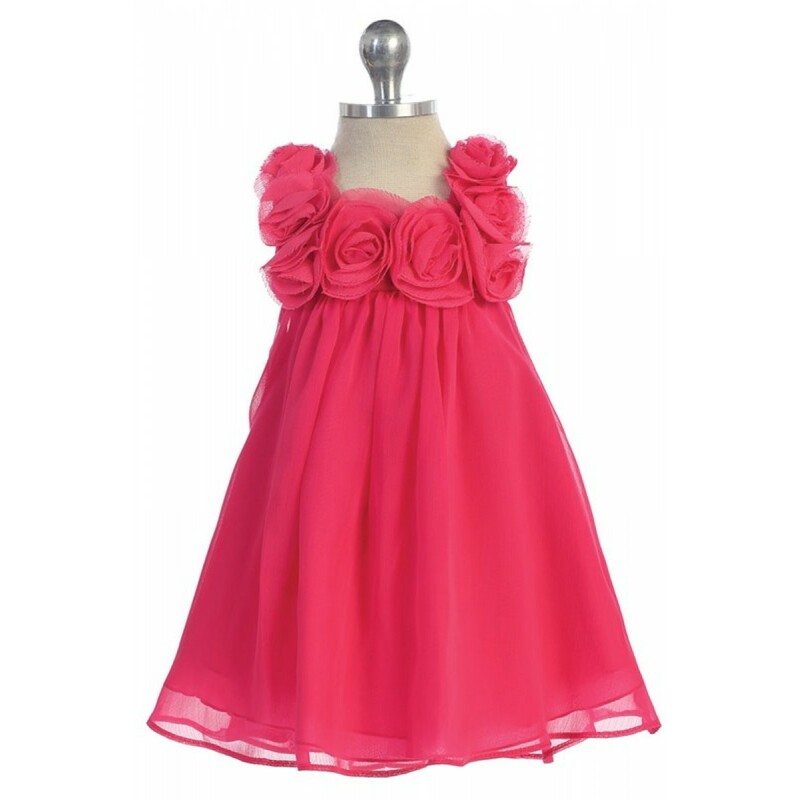 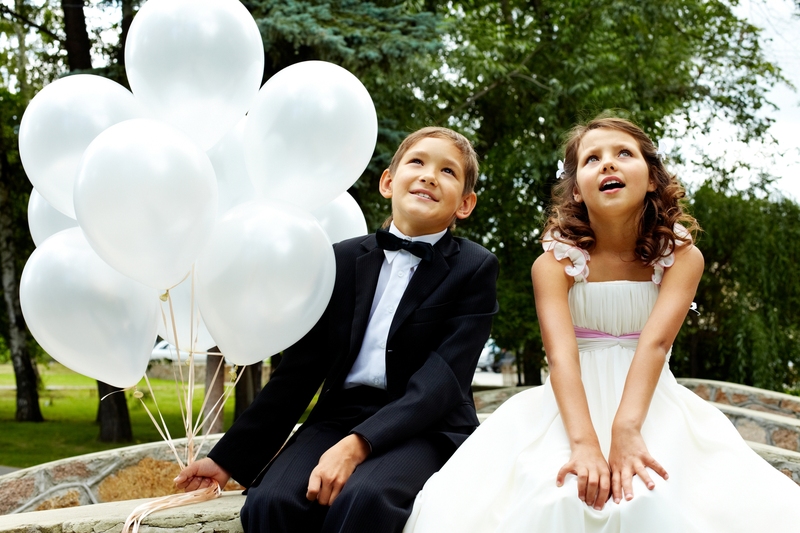 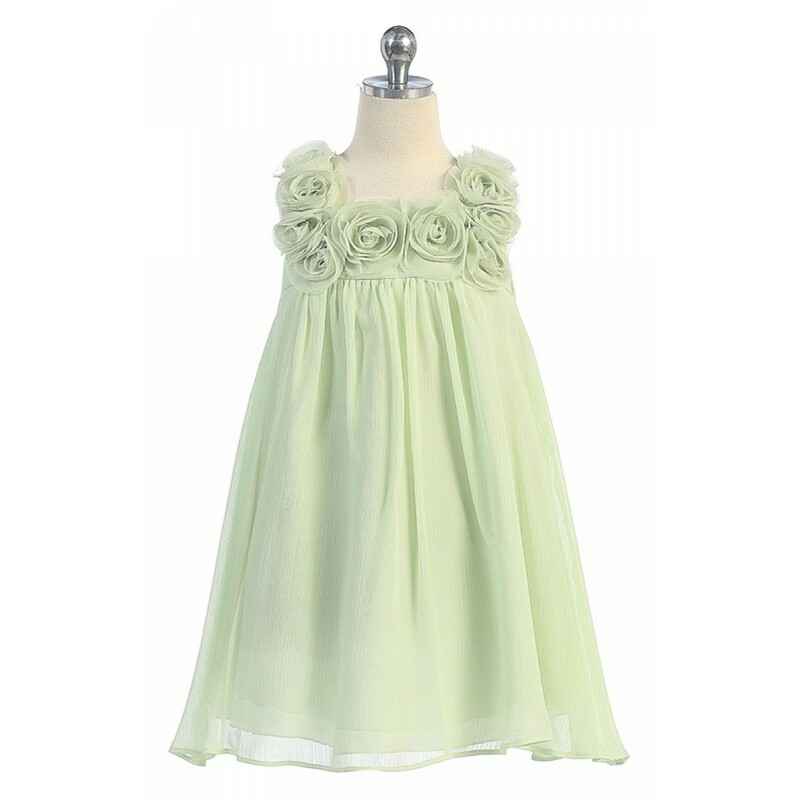 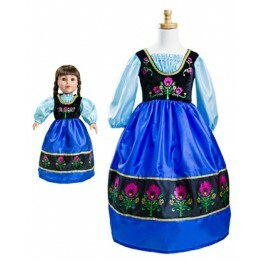 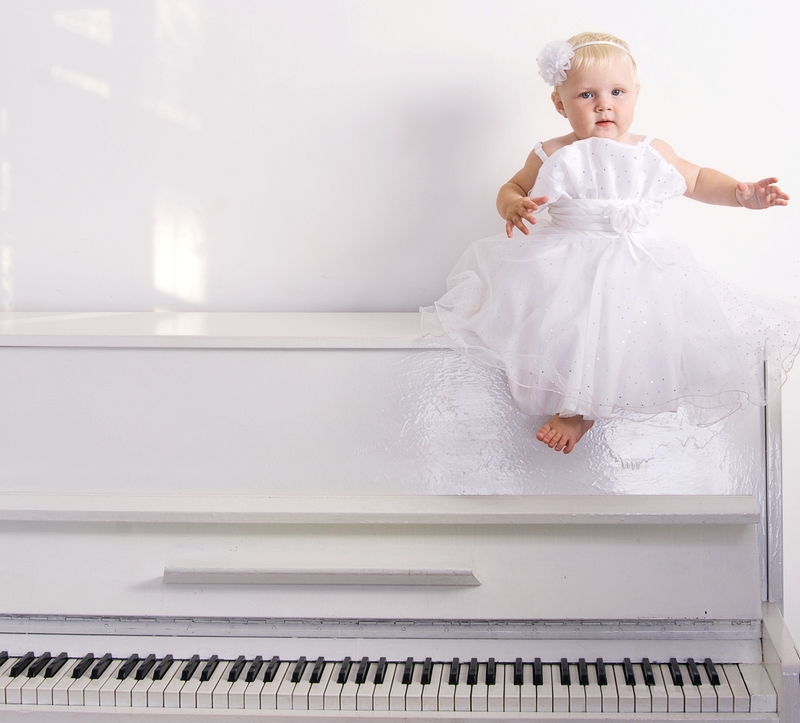 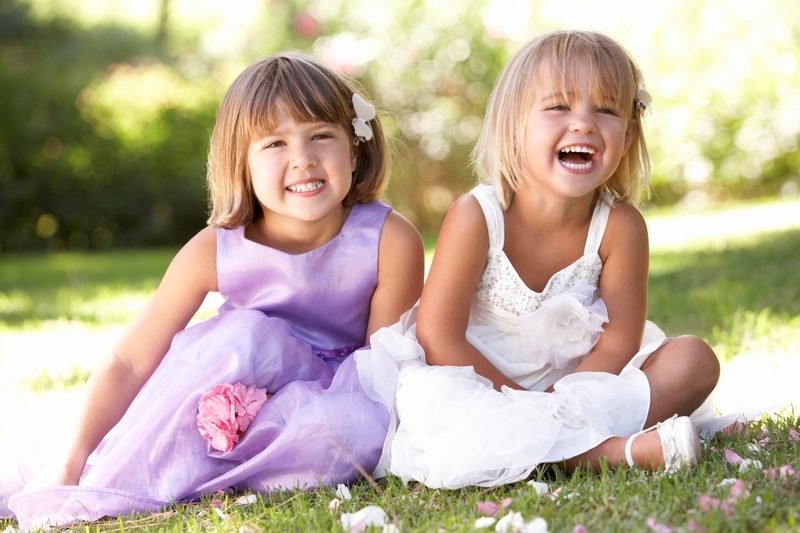 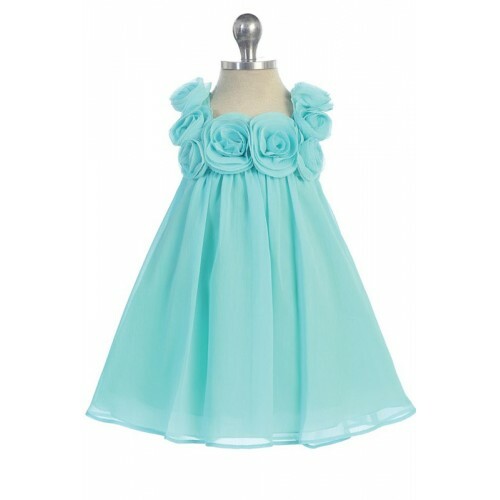 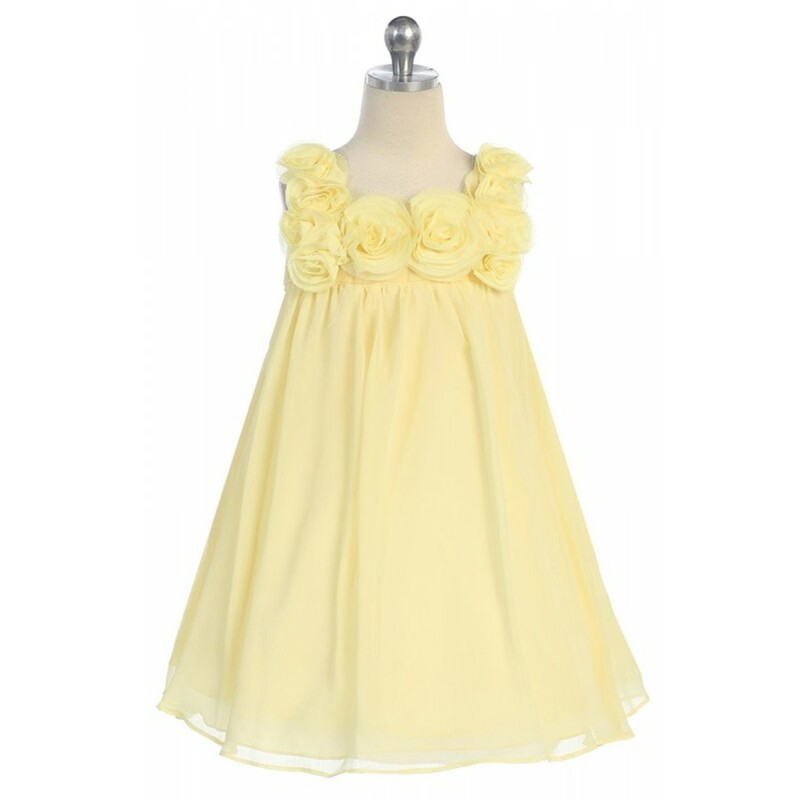 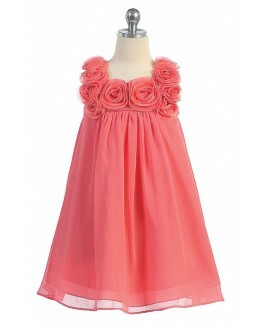 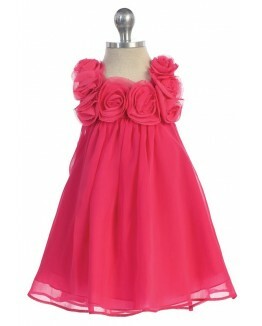 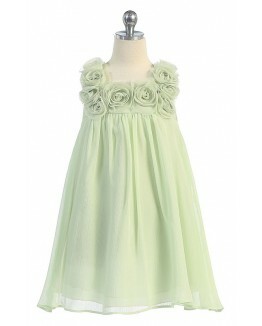 Beautiful choice for a flower girl dress, holiday dress, Easter dress or any other special occasion. 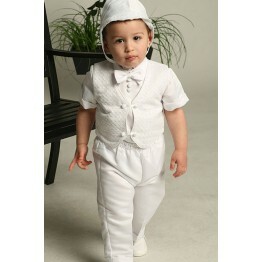 S (6-9 mo) 20" 19 1/2" 17"
M (12 mo) 22" 21 1/2" 18 1/2"